Sun? Check. Sand? Check. Sea? Check. Stunning views? Check – you get the picture. 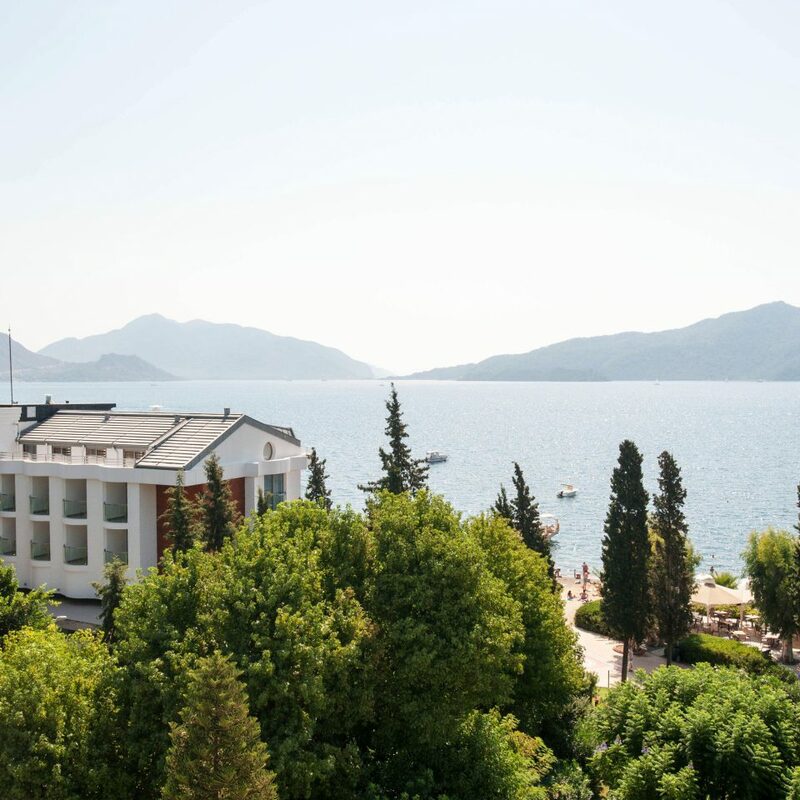 The newly renovated D-Resort Grand Azur, situated in lush tropical gardens, down the road from the bustling harbor town of Marmaris and steps from the shimmering Mediterranean, is a dreamy seaside retreat on Turkey’s Turquoise Coast. Also known as the Turkish Riviera, this destination is still up-and-coming among Americans, though it has long lured Europeans with its balmy climate and sun-drenched scenery. 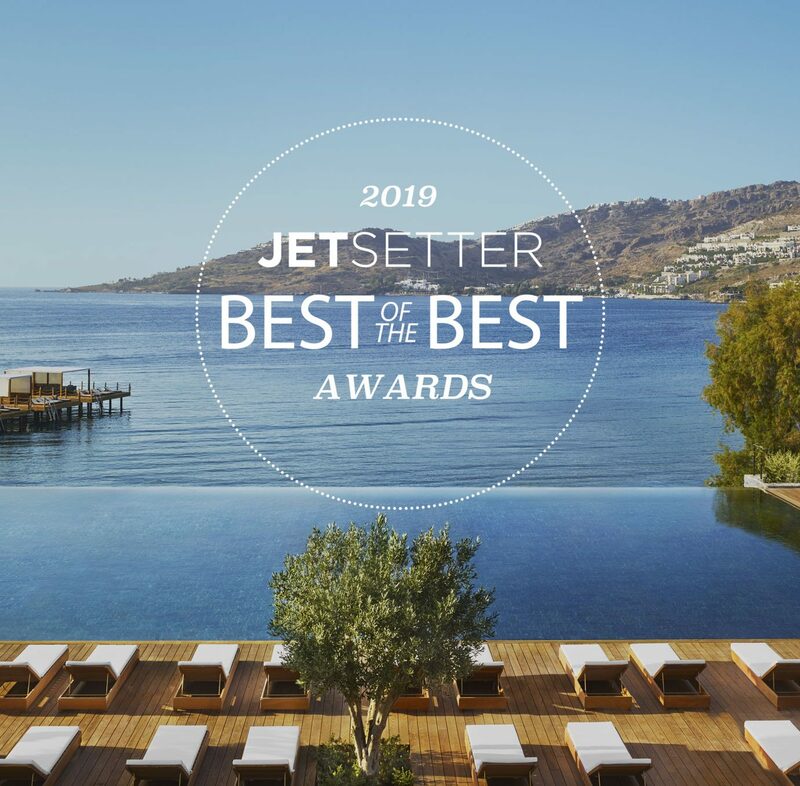 This TripAdvisor Certificate of Excellence-winning resort boasts pretty sea and mountain vistas around just about every corner, from the beach bar and the steak restaurant – where curved, floor-to-ceiling windows certainly help – to the private Blue Flag beach, lagoon-like pool and sun-lounger terrace. 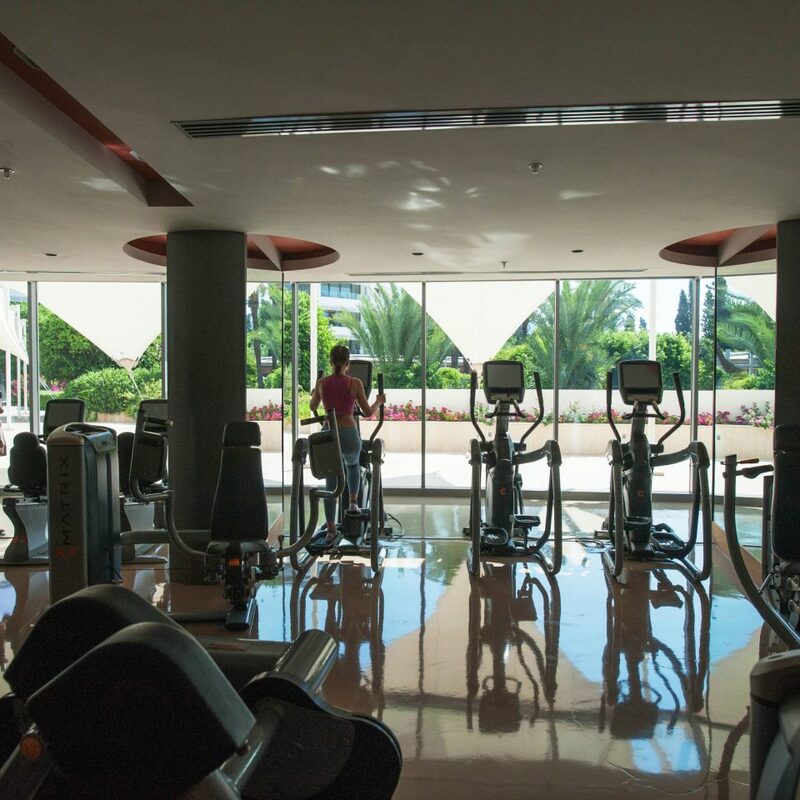 The recently renovated rooms are luxurious, the in-house spa and fitness center are top-notch, and there’s a wealth of local activities to discover. 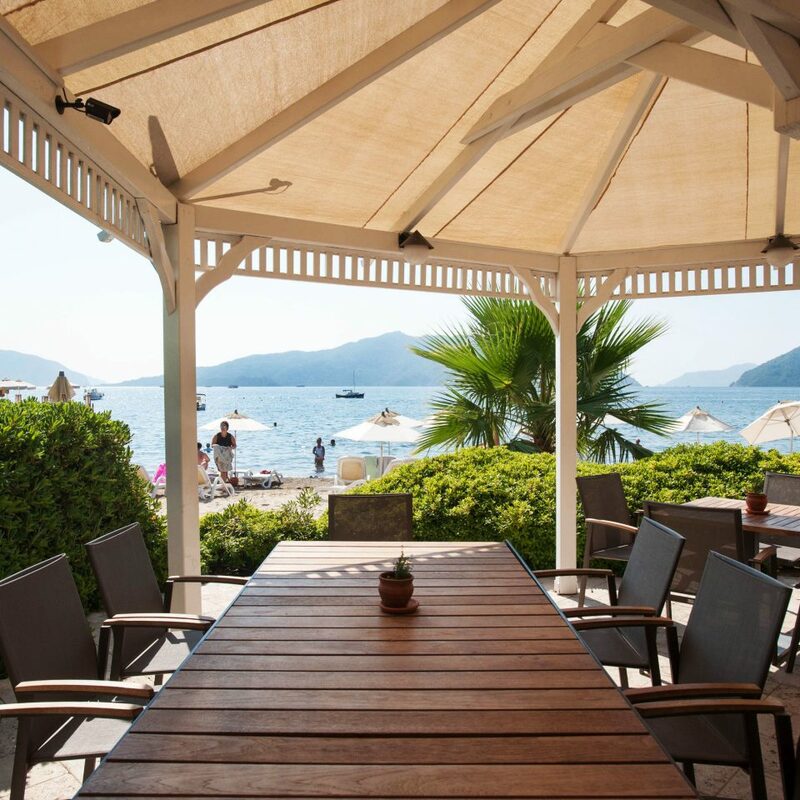 Situated on the coast, close to the buzzing Marmaris nightlife, you’ll enjoy a location that, like the resort itself, is second to none. 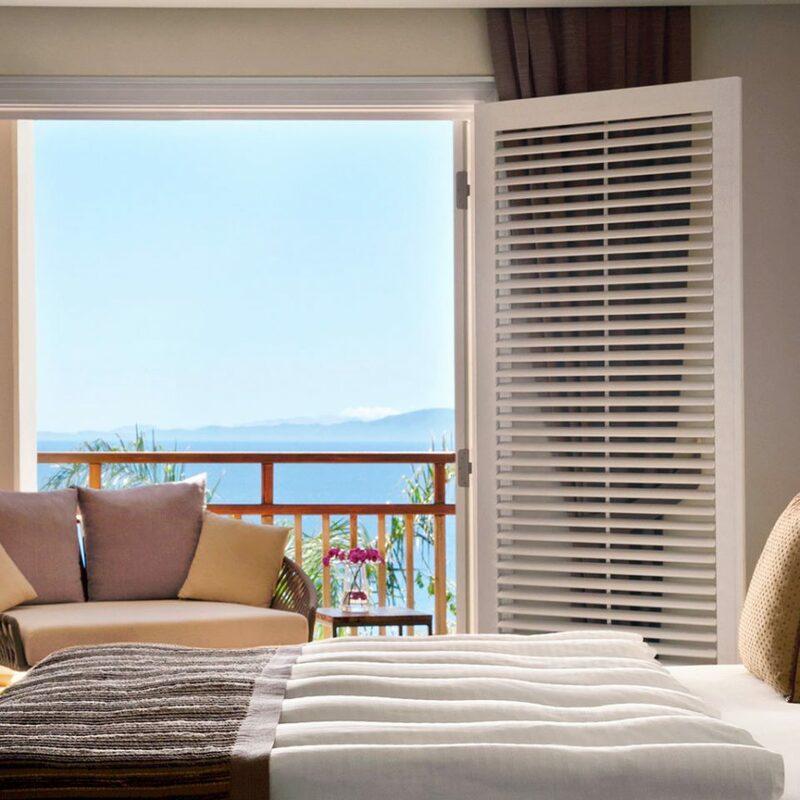 The resort’s Land and Sea View rooms underwent a full renovation just last year, meaning everything here is all shiny and new. 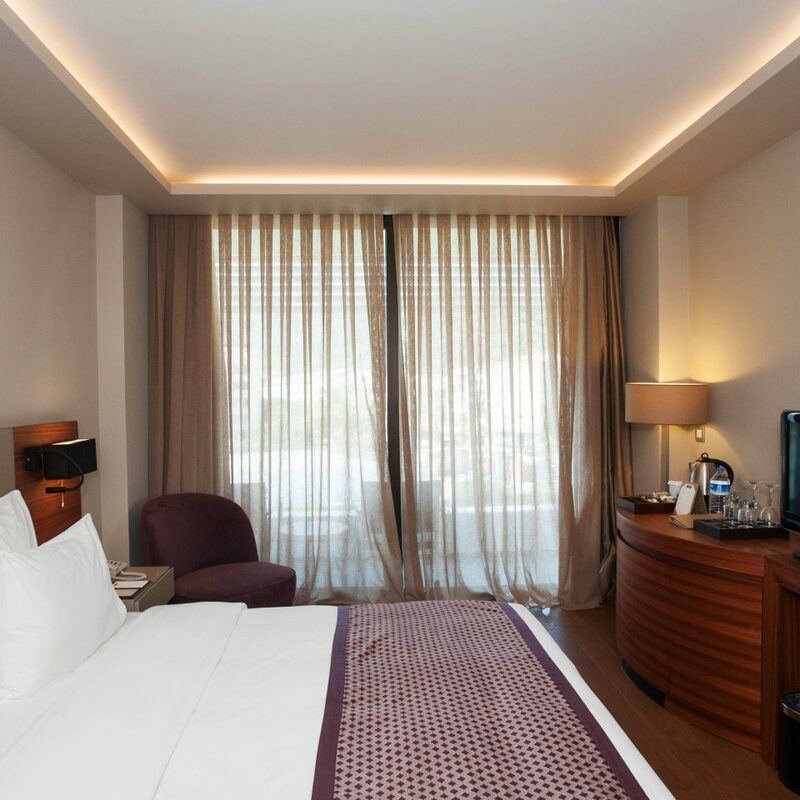 Each room has a balcony or terrace, and if you want to lock yourself away from it all then the beds are huge and comfortable, the LED TV boasts a load of international channels, and the windows are soundproofed. 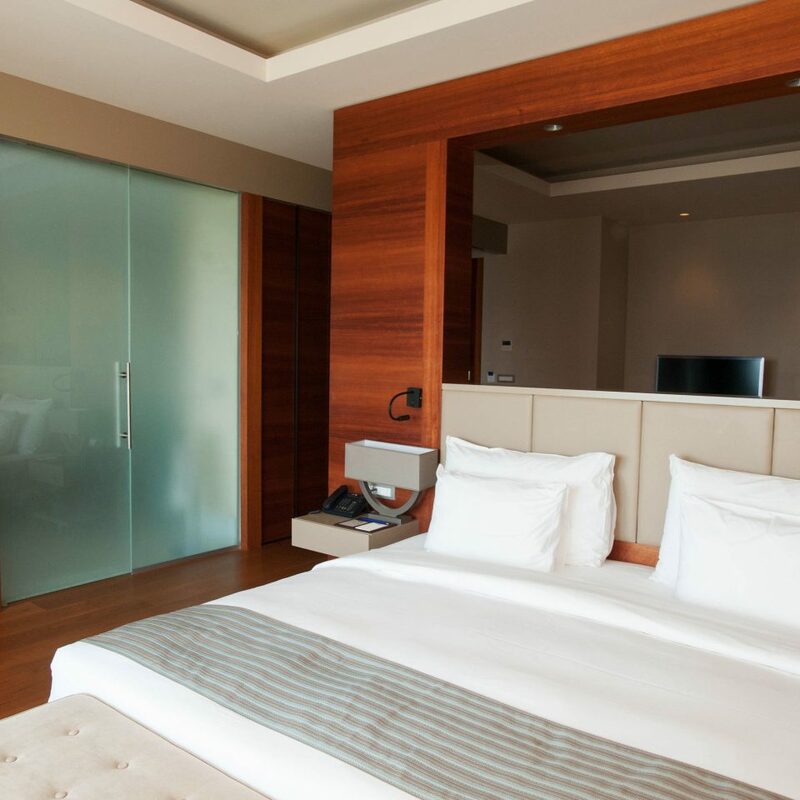 You’ll also have the option of lodging in a luxe and spacious suite. Found on the fifth floor, these sumptuous abodes boast gorgeous sea views and include a separate bedroom and sitting area. 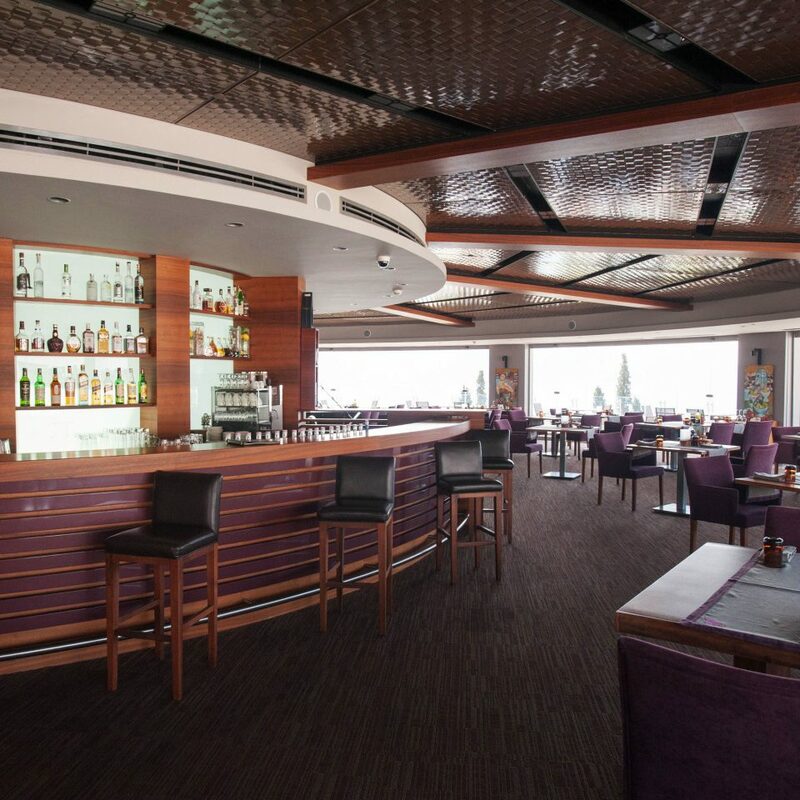 D-Resort Grand Azur has an impressive selection of dining options. Daily buffet breakfasts include a wide range of hot and cold food, including fresh fruit and pastries. 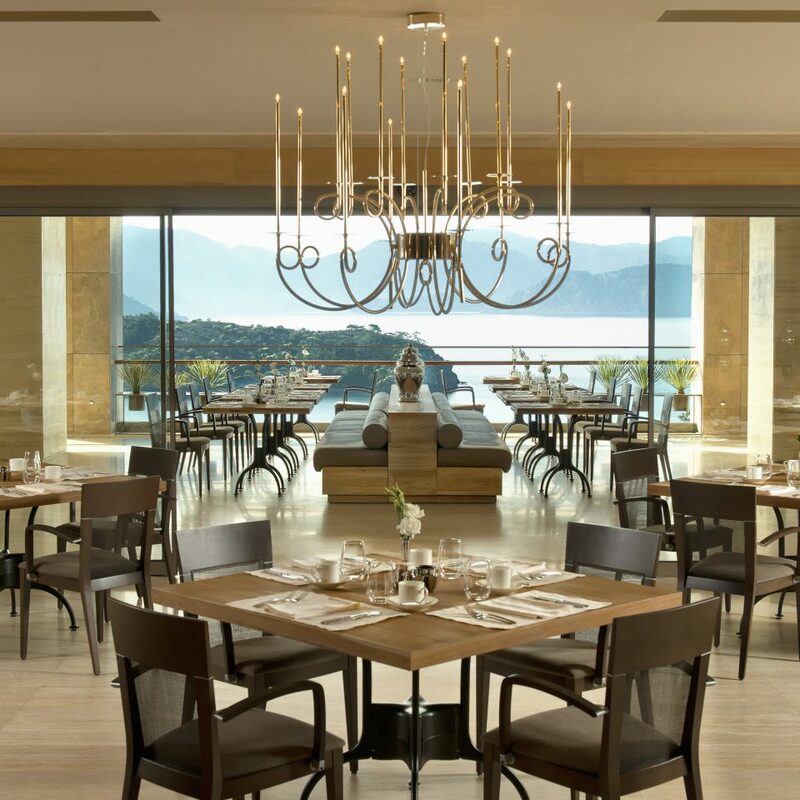 Evening meals consist of international cuisine, traditional Turkish meze plates and freshly grilled meat or seafood from the sizzling barbecues. 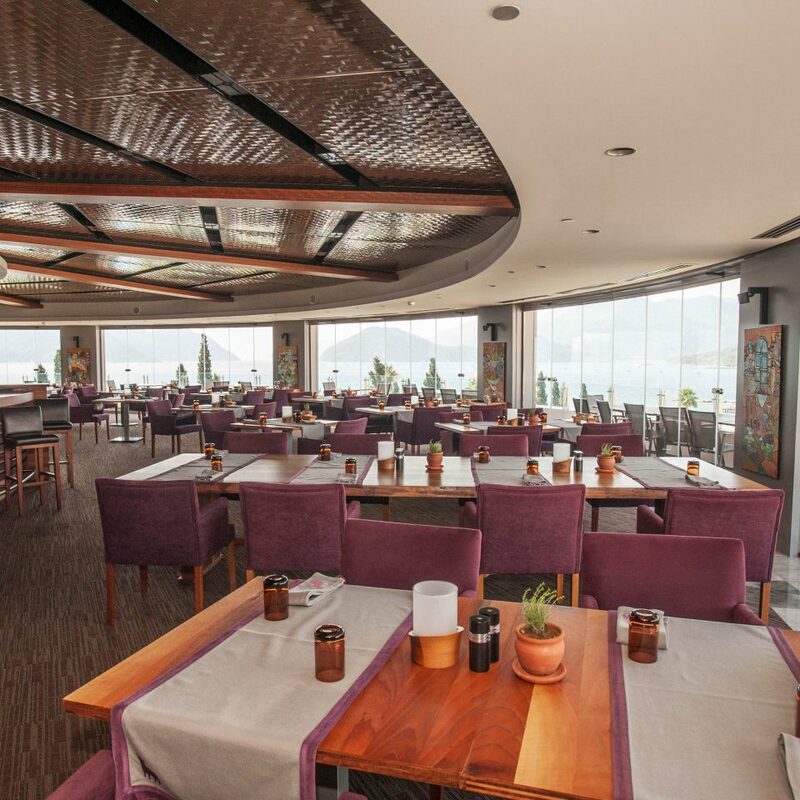 Palmiye Restaurant has buffet meals on offer throughout the day, with live music in the evenings. Gourmet d’Azur has a weekly changing à la carte menu of seasonal produce. The fun and informal Beach Bar and Pool Bar allow waterside cocktail-sipping and dining. 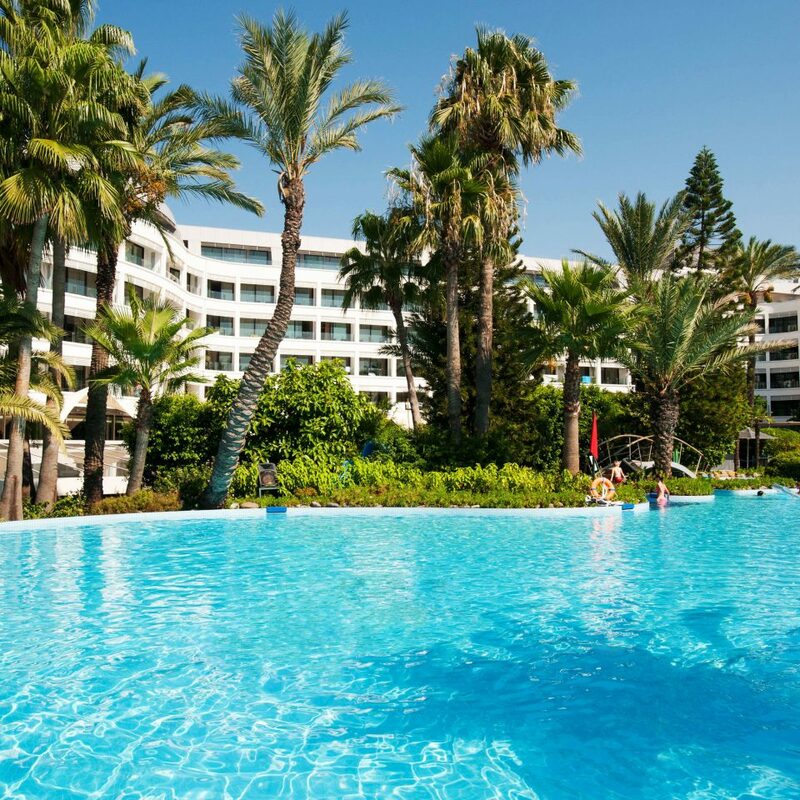 D-Resort Grand Azur is just steps away from the Mediterranean Sea and its idyllic coastline beaches, where watersports and sunbeds are readily available. 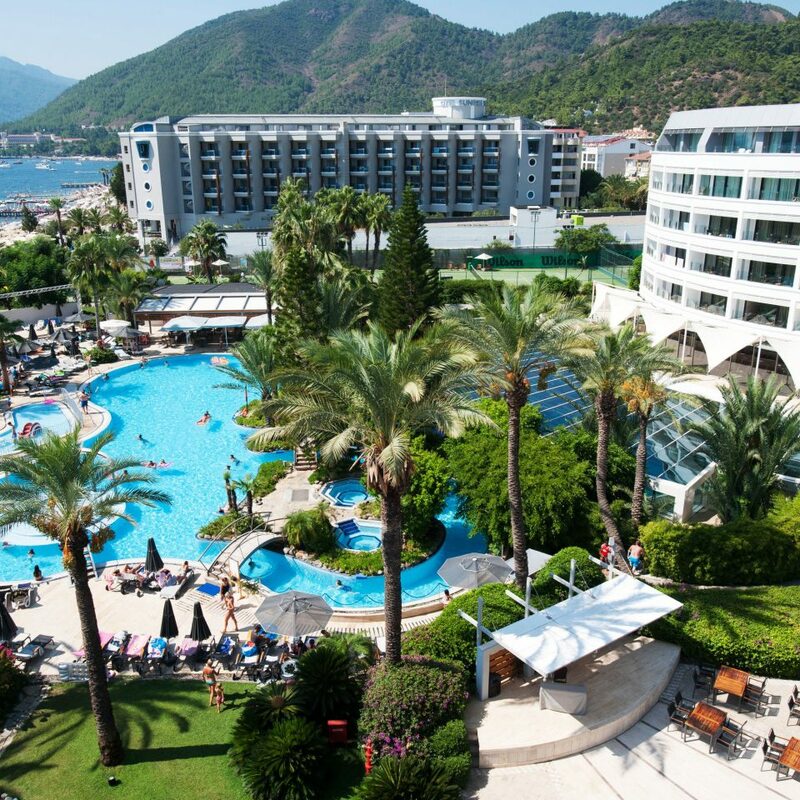 The hotel is located just over a mile from the excellent nightlife, restaurants and boutique shops of Marmaris’ town center and a bit farther, but still less than two miles, from Marmaris castle. 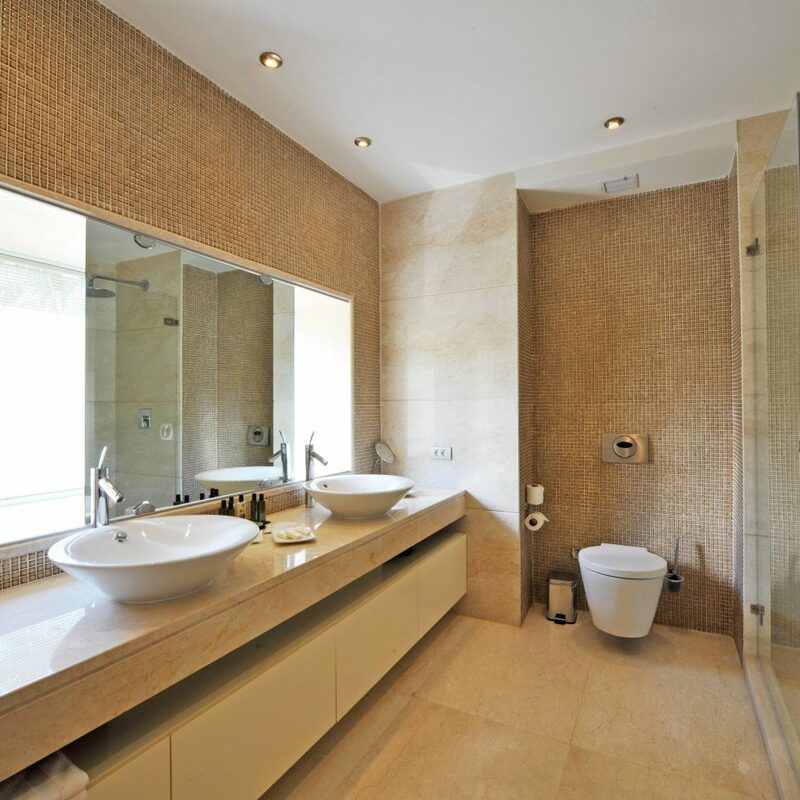 The town center is easily accessible by a short walk along the waterfront promenade, dolmus or taxi. 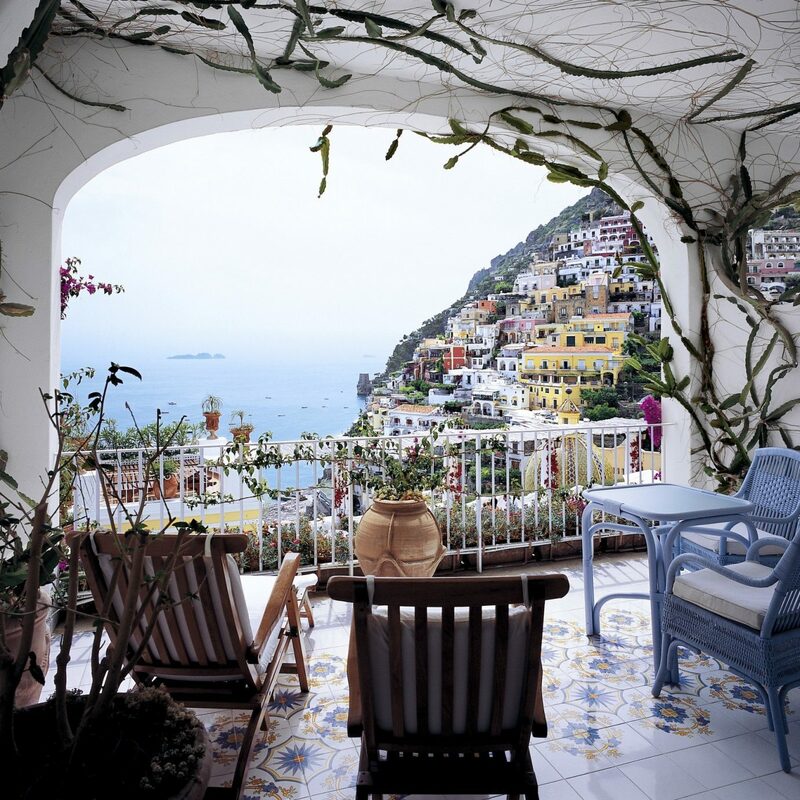 Great Place to Stay Relax and Chill. Great for families and couples. Love this place. 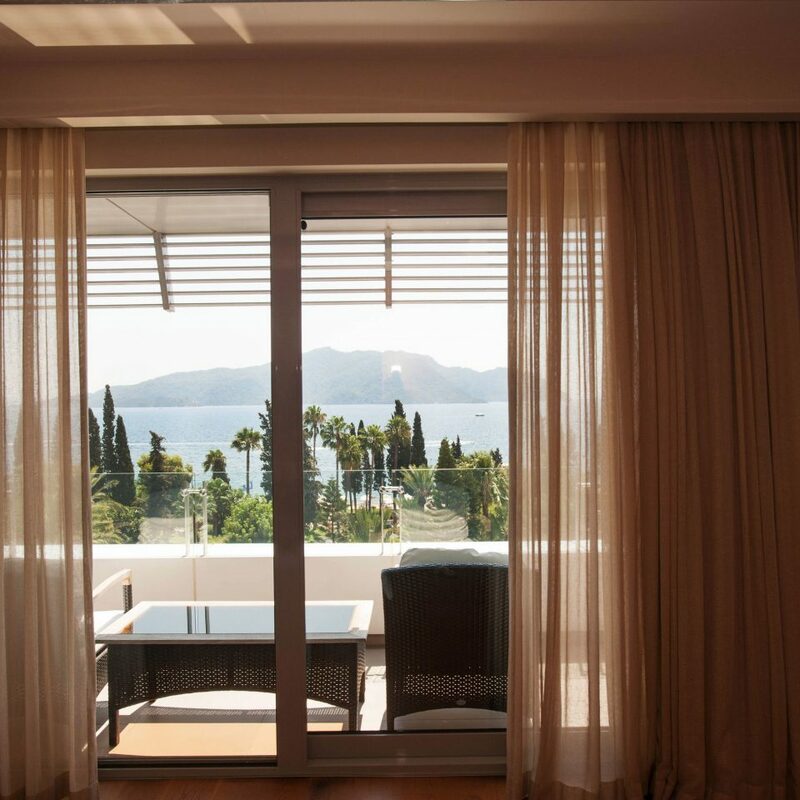 We booked into a Seaview Suite and from the moment of our arrival loved every minute of it. We were met by the Guest Relations Officer and from then on we felt right at home. The concept is all inclusive once you arrive a bit like a cruise ship. All food, drinks, entertainment, wifi included in the up front costs. The rooms are large, clean comfortable, our room had views over the pool, across the bay and out to sea. There is a 24 hour bar where you can get tea/coffee/alcohol some snacks. The main buffet area is open breakfast, lunch and tea the food at the buffet is a large variety and very good quality which caters for vegetarians and meat eaters alike. The menus change each day and they have a BBQ each lunch and dinner. The outdoor pool has its own bar and little eatery where you can have cocktails, or a burger as you lounge by the pool. There is an indoor pool which we didn't use but people were while we stayed. They have a gym which is one of the better ones I have been too with free weights, running, cycle, bike, weight machines. They have activities for children. The resort has its own beach access and beach bar again for drinks food and alcohol all inclusive. 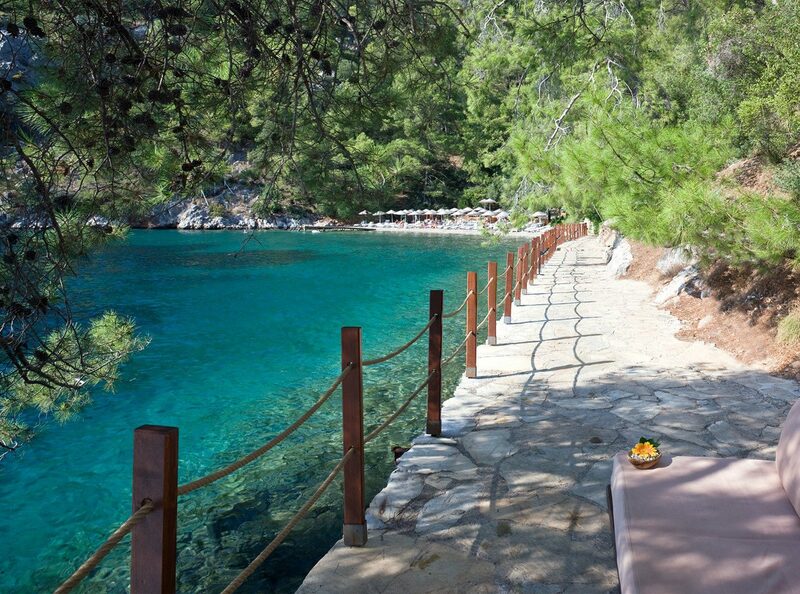 You can go for a walk, run or bike ride along the promenade of Marmaris and explore shops, other restaurants as you will. The staff really make this an enjoyable experience, they try hard to engage and make efforts to ensure your stay is memorable. We had some minor issues with our room and the Guest Relations lady made sure they were remedied in quick time. 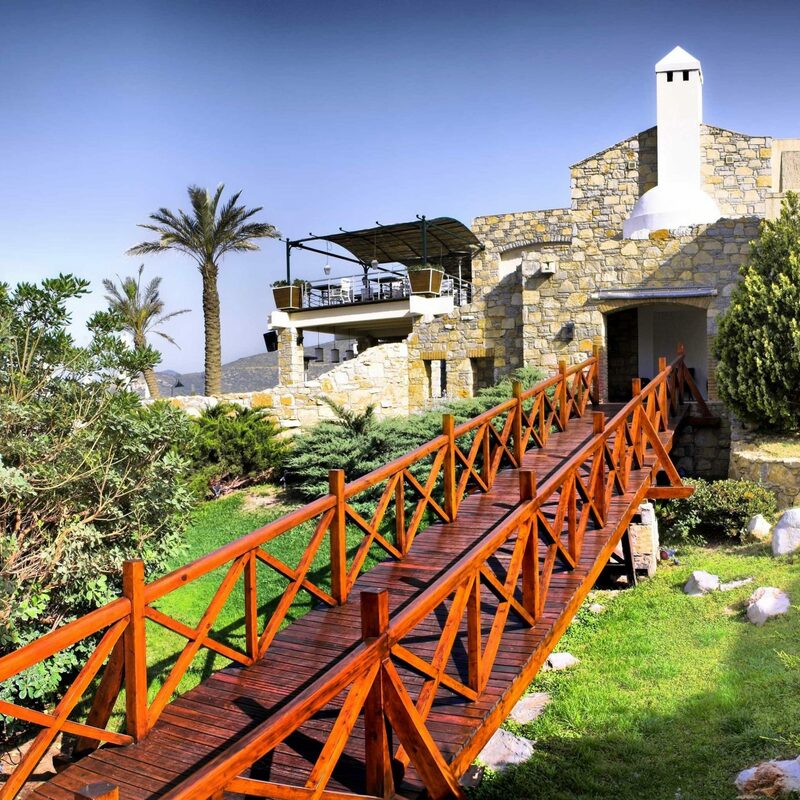 One of the most beautiful places to have a resort, we recommend this place to anyone. So we decided on a holiday to make sure of the Easter break and went to Turkey. 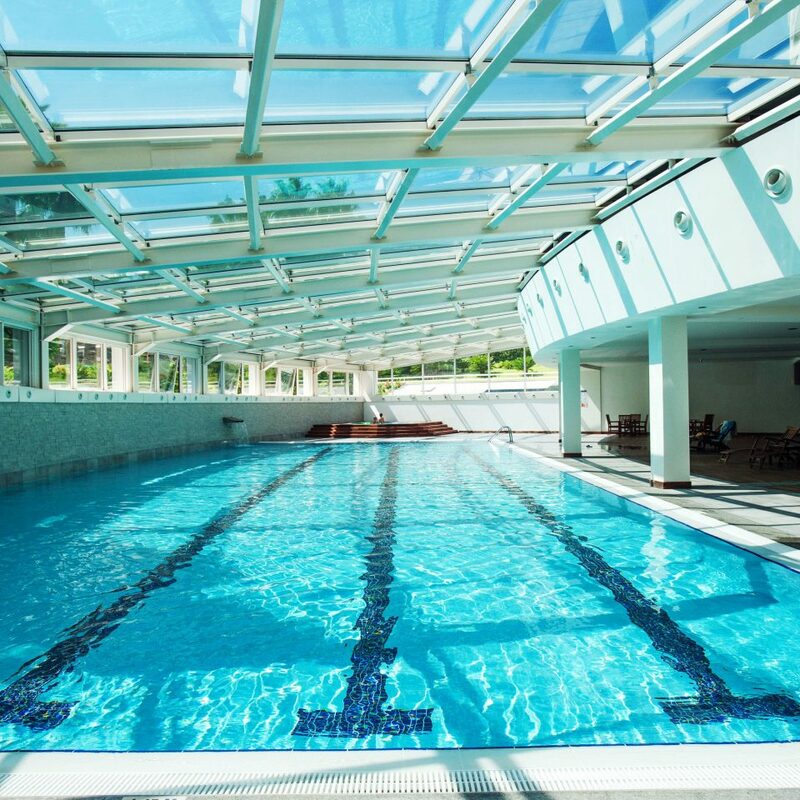 The hotel itself was good, indoor pool, outdoor pool, spa And gym. The slide for the kids was a laugh! No power so the kids were actually rocking themselves down the one side. The pools were still very cold, guess its still cold this time of year. The food was nice, as there are restaurants on your doorstep there is only 1 actual restaurant on site, steak and bar which was nice. Only down side to this was the lack of kids options. The entertainment in the evenings could have been hosted in a larger area. So there was no dance area and most evenings were sat listening to live music which was ok. There wasn't enough games to play when it rainined or when there was no sitting for the evening entertainment. 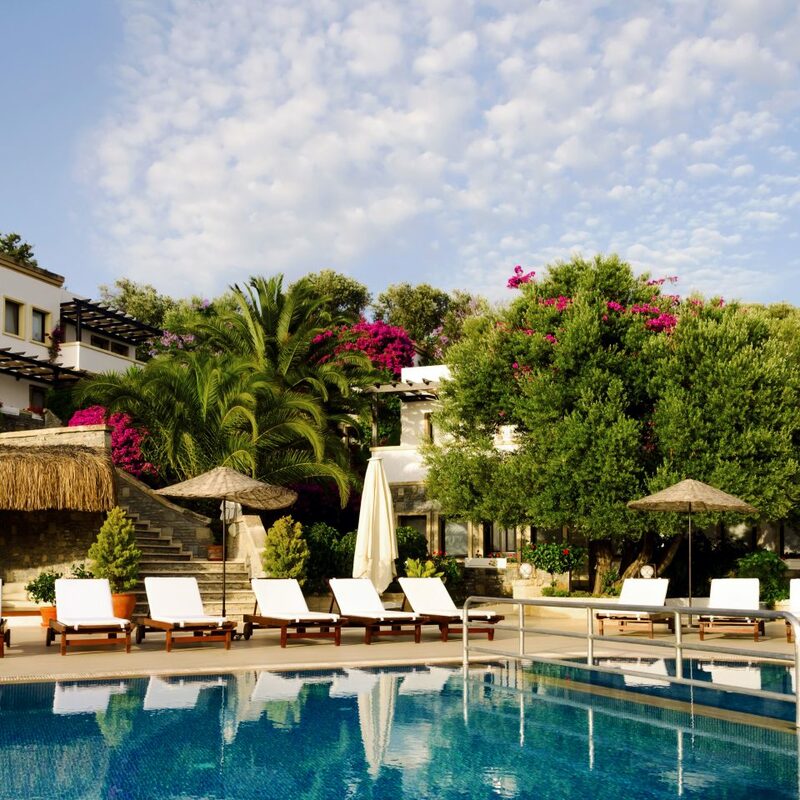 Compared to the 5 star we stayed at in dalaman this place could have done with some more games and things to do for the kids. I’m laying on the beach writing this which is only 1 min from the hotel. The holiday has been so nice, my first trip to Turkey and the people are so friendly they have really made the holiday. The hotel was fantastic I don’t have lots of negative comments only a couple of comments to make it even better! The rooms mini bar could be topped up more regularly then once a week and maybe allocation depending on how many people are in the room? If 3 people then 3 bars of chocolate and 3 packs of crips but to be honest it’s all so cheap here you can afford to go to the shop and treat yourself to these. The desert bar is a great treat and helps you gain pounds! The food has been great and the drinks have been served in glasses and tasted great. Staff were all friendly and spoke to everyone and I saw a couple of people on holiday on their own which to be honest I would feel happy to also do here. Will be back thank you for adding to my great life memories. Stayed here for one week and absolutely loved it! The hotel staff are all very friendly and approachable. The hotel is kept very clean 24/7. BIG shout out to my guy Cyrus who looked after me and was happy to take the time to sit with us and have some great conversations! If you ever come here they have a brilliant entertaiment team who host daily games such as table tennis, pool and french bowls for children and adults. I would recommend this hotel to anybody looking to come out and enjoy themselves or even just to escape and relax!